Novopskov, Luhansk Obalst, 24 January 2019 ­– A two-day pilot workshop was held in Novopskov, where participants from the village amalgamated territorial community (ATC) were introduced to the "Islands of Integrity" methodology, learned about successful international practices to overcome corruption schemes, and also analyzed the potential corruption risks in the activities of local self-government. The workshop was organized with support from the United Nations Development Programme (UNDP) in Ukraine and financed by the European Union within the framework of the United Nations Recovery and Peacebuilding Programme. The "Islands of Integrity" methodology has already been successfully tested in more than thirty countries, in particular in Strășeni, Moldova and Kutaisi, Georgia. The co-author of the methodology, Ana Vasilache from Romania, will remotely assist the experiment in Novopskov village ATC. "The purpose of this experiment is to motivate residents of Novopskov village ATC to change the community in which they are living. Awareness of their own influence on hromada processes is a guarantee of new opportunities for the overall ATC", said Victor Munteanu, head of the Recovery and Peacebuilding Programme, UNDP. The workshop was attended by international mentors who were co-authors of the "Islands of Integrity" methodology, which was developed with financial support from the Romanian Ministry of Foreign Affairs, the Romanian Agency for International Development (RoAid) and the UNDP Istanbul Regional Hub. 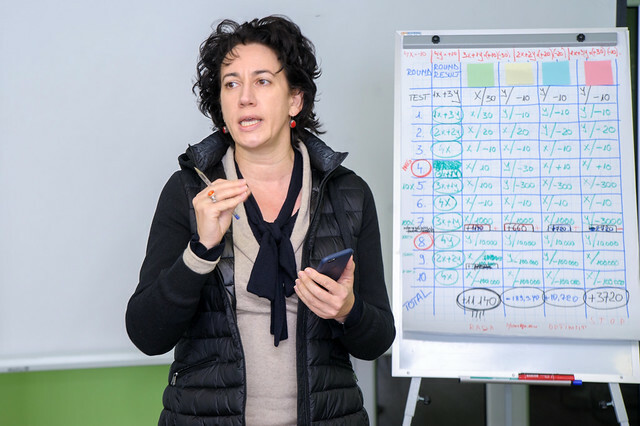 Olivia Baciu, the facilitator of the methodology, and national consultants Oleksiy and Iryna Soldatenko predict that within six months Novopskov village ATC will develop its own anti-corruption strategy. The head of Novopskov Village ATC Vadym Haiev, who was among the workshop participants, also hopes that thanks to the introduction of anti-corruption methodology, community residents will not only gain experience but also see practical results. “Islands of Integrity” is an innovative anti-corruption methodology, implemented in the last ten years in more than 30 cities across Eastern and Central Europe and Turkey.